You likely use the New Gift Interface to enter most of your gifts in Causeview. Not only does it make it convenient to enter gifts quickly, it also makes sure you populate pertinent gift information to create transaction, payment and allocation records. As an added bonus, the New Gift Interface also processes online payments directly at the payment gateway. But did you know that you can customize the New Gift Interface by adding or removing fields? Having the ability to add and remove fields from the New Gift Interface gives you the flexibility to customize the interface to make it easier for you to populate all related gift information. For example, if you enter tribute information (gifts made in honour or in memory) from time-to-time, it may be a good idea to add the tribute fields from the transaction record to the transaction section of the New Gift Interface. This way you can populate tribute information as you enter your gift, saving you valuable time. If you've created custom fields within the transaction, payment or allocation record, these can also be added to the New Gift Interface so that you can choose to populate them during gift entry. To add or remove fields from the New Gift Interface, make sure you have access to Setup. 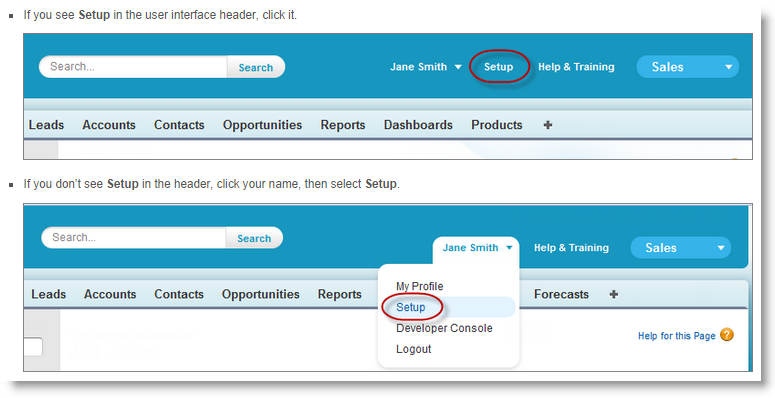 Within Setup, you will find a section on the left side with a heading called "App Setup" (in some instance, this is labeled as "Build"). 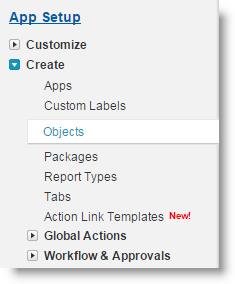 Expand "Create" and click on "Objects". If the field you would like to add or remove is found within the Transaction record, then you would need to navigate to the Transaction object. If the field exists within the Payment or Allocation record, then you would need to navigate to the Payment or Allocation record respectively. Once you are in the appropriate object (Transaction, Payment or Allocation), navigate to the section called "Field Sets". Click on "Edit" beside "Single Transaction Custom Fields" (for Transactions or Payments) or "Edit" beside "allocation" (for Allocations). Drag the field you would like to add to the box labeled "In the Field Set". To remove a field from the New Gift Interface, drag it off the field set. Once you are finished adding or removing fields, click on the "Save" button.